He was born Maria Ludwig Michael Mies. 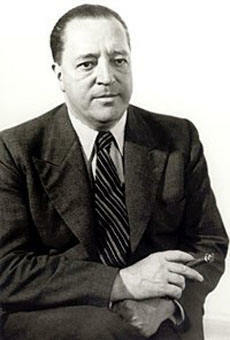 Later, he added his mother's maiden name Rohe and the Dutch van der to become Mies van der Rohe. Most people refer to him as Mies. 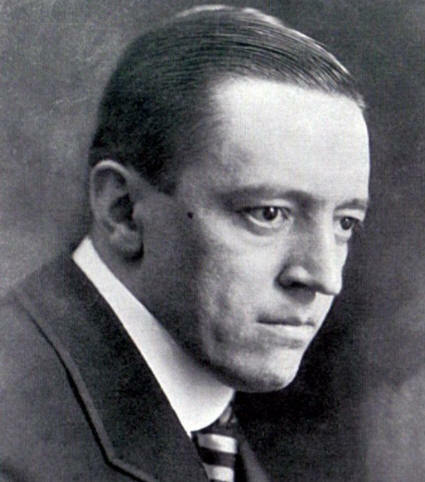 In 1905, Mies moved to Berlin and without any formal architectural training became an apprentice to furniture designer Bruno Paul. In 1907 he built his first house as an independent architect. Employed by Peter Behrens at the same time as Walter Gropius was a senior assistant, he remained there until 1911. 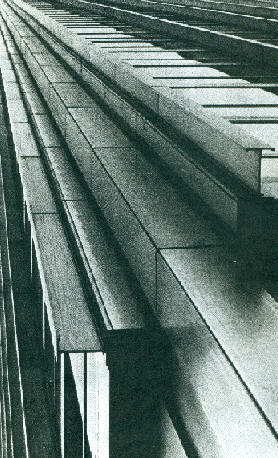 While continuing traditional neoclassical design practice Mies began to develop visionary projects that, though mostly unbuilt, rocketed him to fame as an architect with the faceted all-glass Friedrichstraße skyscraper in 1921, followed by a taller curved version in 1922 named the Glass Skyscraper. 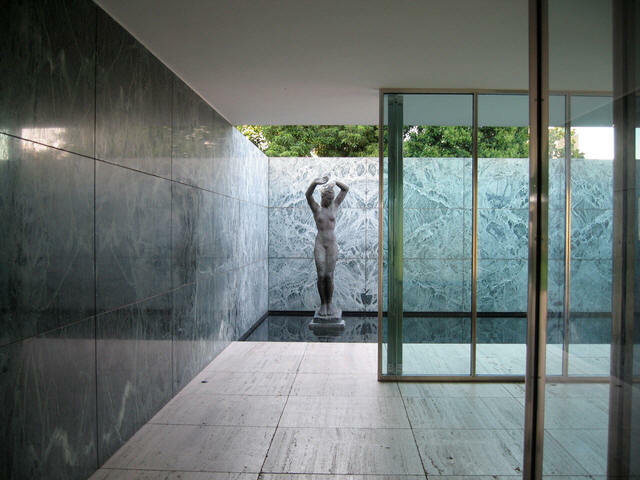 He continued with a series of pioneering projects, culminating in his two European masterworks: the Barcelona Pavilion in 1929 and the Villa Tugenhat completed in 1930. He joined the avant-garde Bauhaus design school as their director of architecture, adopting and developing their functionalist application of simple geometric forms in the design of useful objects. 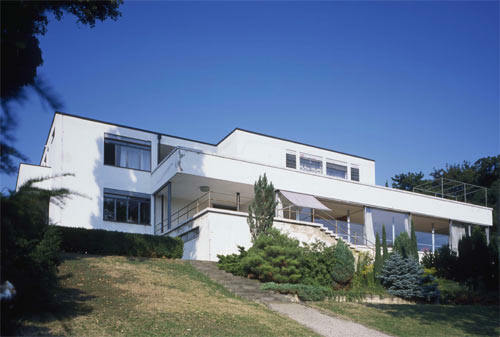 Mies liked the design theories of Adolf Loos particularly the ideas of eradication of the superficial and unnecessary. Loos had famously declared, in the tongue-in-cheek humor of the day, that "ornament is a crime". Mies pursued an ambitious lifelong mission to create a modern, unadorned architectural language that could be used to represent the new era of technology and production. In 1933, Mies was the last Director of the faltering Bauhaus at the request of his colleague and competitor Walter Gropius. Nazi political pressure forced him to close the school. He left Germany reluctantly in 1937 for a job heading the Department of Architecture of the newly-established Illinois Institute of Technology in Chicago. He designed many buildings on the campus. Crown Hall, containing the School of Architecture, is widely regarded as his finest work, the very definition of Miesian architecture. In 1944, he became an American citizen. His many significant US projects include the residential towers of 860-880 Lake Shore Drive, the Chicago Federal Center complex, the Farnsworth House, Crown Hall, and the Seagram Building in New York City. 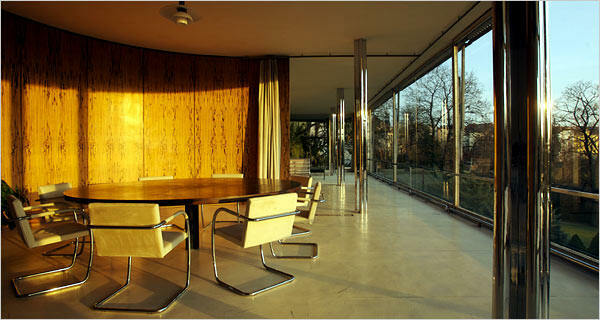 Along with Walter Gropius and Le Corbusier, he is widely regarded as one of the masters of Modern architecture. He is credited with the sayings "less is more" and "God is in the details." In 1913, Mies married Adele Auguste (Ada) Bruhn. They separated in 1918, after having three daughters: Dorothea (1914-2008), an actress and dancer who was known as Georgia; Marianne (1915-2003); and Waltraut (1917-1959), who was a research scholar and curator at the Art Institute of Chicago. In 1925 Mies began a relationship with designer Lilly Reich that ended when he moved to the United States; from 1940 until his death, artist Lora Marx (1900-1989) was his girlfriend though they never lived together. 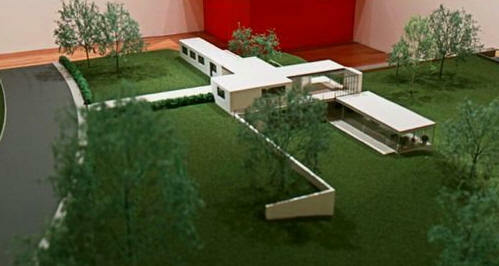 Marianne's son Dirk Lohan studied under and later worked for Mies. 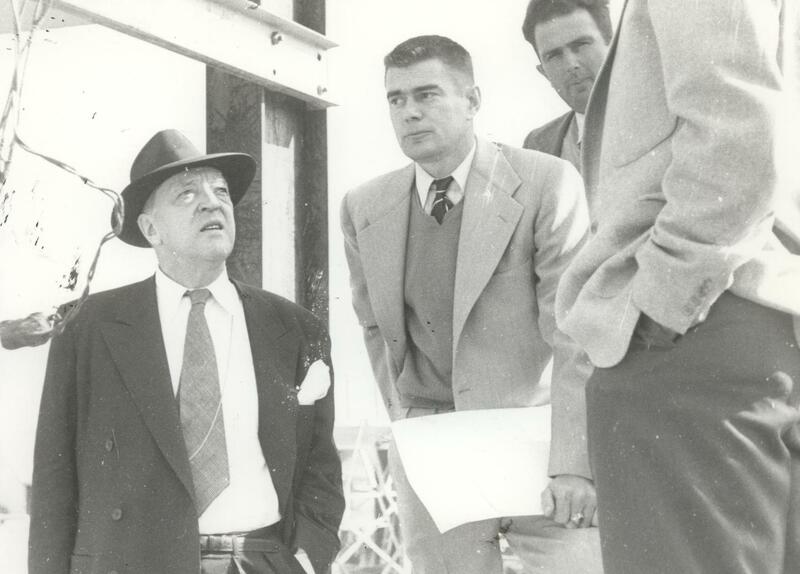 Shown above, Mies visited Raleigh during construction of Dorton Arena during the 1950's. According to local legend, several NC State students got Mies drunk at a party upstairs on Hillsborough Street that night. He was so far gone that he fell down the stairs and the students thought they had killed the great architect. After a few moments, he got up and acted as if nothing had happened. Many thanks to Catherine Westergaard Cramer. Bio adapted from Wikipedia. 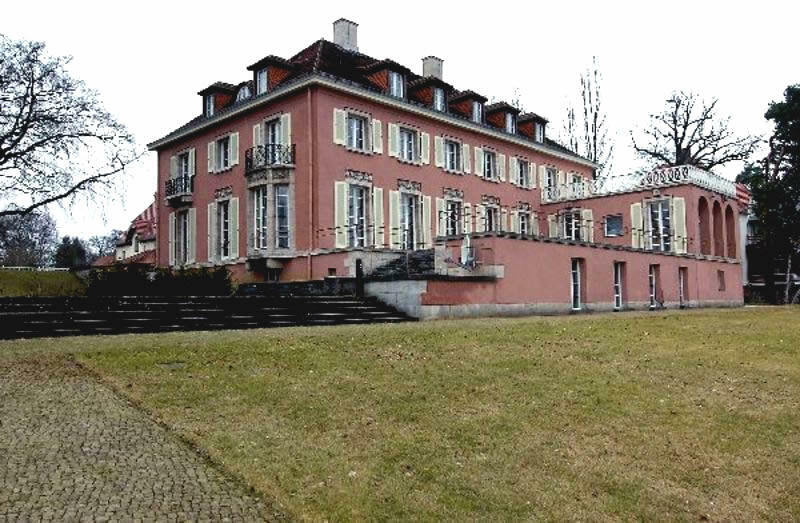 1907 - The Alois and Sophie Riehl House, aka Klosterli, Spitzweggasse 3, Potsdam-Neubabelsberg, Germany. The house was abandoned for in the 1940's and 50's. At one point an East German film school used it as a set. Sold in 1997. Restored in 2001 by architect Heiko Folkerts. According to Curbed, "the couple reached out and invited him to a stylish party at their Berlin apartment to discuss the job and see if he was the right fit. Lacking proper attire, the young architect went around the office asking to borrow money until he had gathered enough to afford a dinner jacket. While the professor initially balked, saying he didn't want to be a "guinea pig" for someone's first project, Mies charmed the couple enough to win the commission. He resisted all aid and advice from Paul, preferring to go out on his own. Supposedly, his then boss would later say of the project, "there's only one this wrong with this house. I didn't build it." 1911 - The Hugo Perls House, Hermannstrasse 14-16, Berlin-Zehlendorf, Germany. Commissioned 1910. A traditional house. Sold to Eduard Fuchs. Addition in 1928. 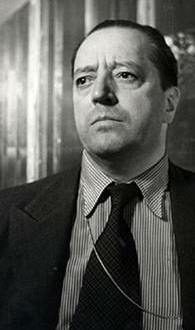 Sold to Bruno, a physicist, after Fuchs fled to Paris to escape the Nazis, who stole Perls' collection and library. 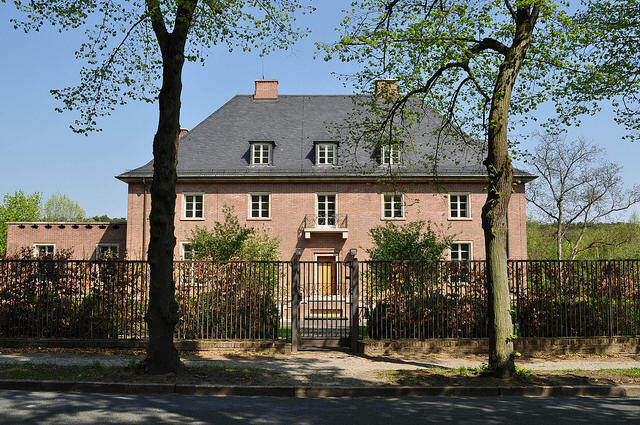 The home was restored by the German architect Dietrich von Beulwitz. 1913 - The Kroller-Muller House, aka Mansion for the Hague, aka Kroller-Muller Villa, Wassenaar, Netherlands. Unbuilt. Commissioned 1912. 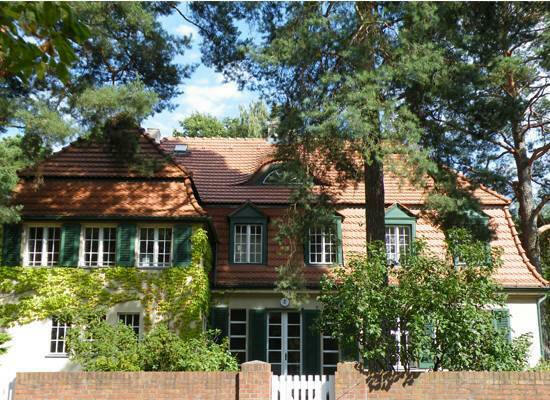 1913 - The Ernst Werner House, Quermatenweg 2/4, Berlin-Zehlendorf, Germany. 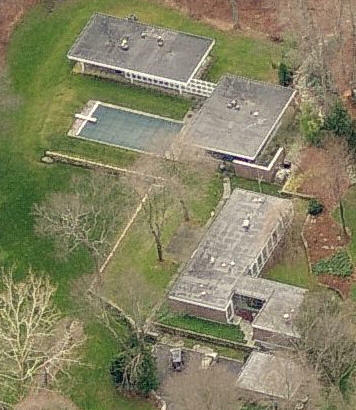 Werner inherited land next to the Perls house and hired Mies as architect. 1914 - House for the Architect, Werder, Germany. Unbuilt. 1917 - The Franz Urbig House, Louisenstrasse 9, Berlin, Germany. 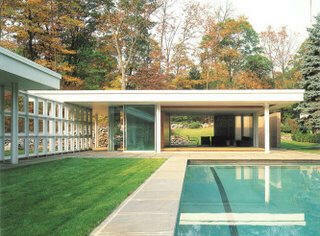 The original design had a flat roof, which Urbig balked at, and Mies came up with a new design. Construction began in 1915. 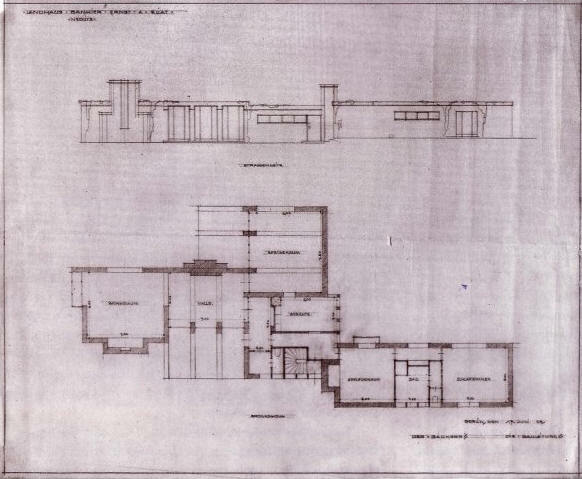 1919 - aka Haus K. Unbuilt. 1921 - The Petermann House, Neubabelsburg, Berlin, Germany. Modernist design, unbuilt. 1922 - The Kempner House, Sophienstrasse 5-7, Charlottenburg, Berlin, Germany. Traditional house commissioned in 1919. Destroyed in 1952. 1922 - The Georg Eichstaedt House, Dreilindenstrasse 22, Berlin-Wannsee, Germany. 1922 - The Cuno Feldmann House, Erdenerstrasse 10-12, Berlin-Willemsdorf, Germany.This home is much the same design as Kempner and is still standing though much altered. It was partially destroyed at the end of WWII and rebuilt during the 1950s. It was partially demolished in 1958. The new owner was stopped by police and subsequently rebuilt it. The original pitched roof, however, was not replaced. Drawings indicate that there were 3 dormer windows facing the street. The window above the door is obviously not part of the original design. 1923 - The Lessing House, Neubabelsburg, Berlin. Modernist design, unbuilt. 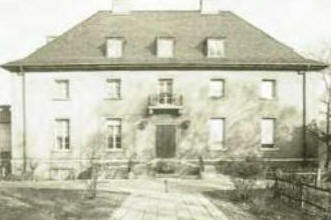 1923 - The Ryder house, Wiesbaden. Modernist design, started but not completed. 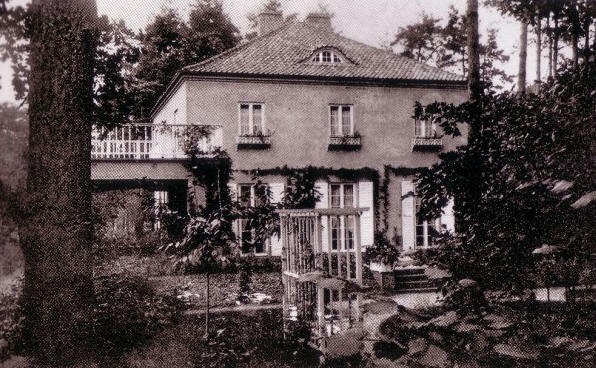 1923 - The Ernst Eliat House, Fahrlander See Nedlitz near Potsdam, Germany. Unbuilt. 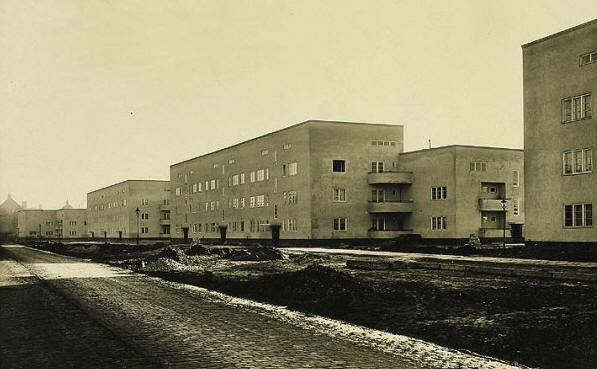 1923 - aka Landhaus, Eisenbeton, Germany. Unbuilt. 1924 - aka Landhaus, Backstein, Germany. Unbuilt. 1924 - The Brick Country House project. Unbuilt. Possible location was Neubabelsberg, Germany. 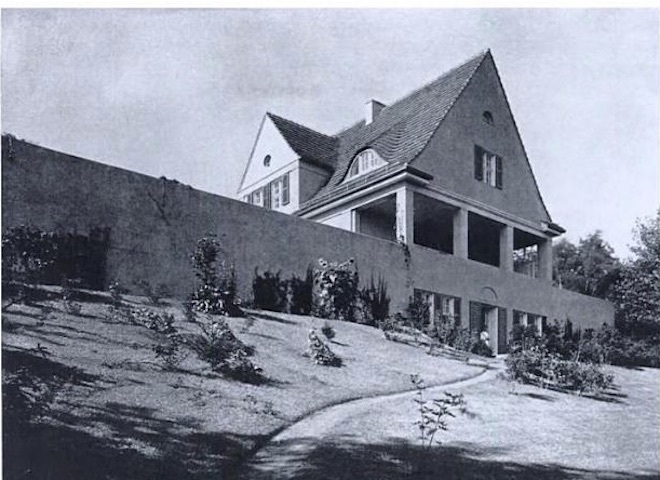 1924 - The Concrete Country House project. Unbuilt. 1926 - The Georg Mosler House, Kaiserstrasse 28-29, Neubabelsberg, Germany. The address was changed to Karl-Marx-Strasse 28-29, Babelsberg, Germany, and is now a children's clinic. Commissioned 1924. Traditional design. 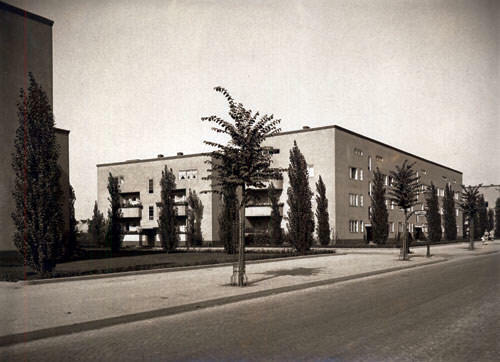 1925 - The Municipal Housing Development, Afrikanische Strasse, Berlin. Commissioned 1925. Still standing as of 2010 but has been altered. 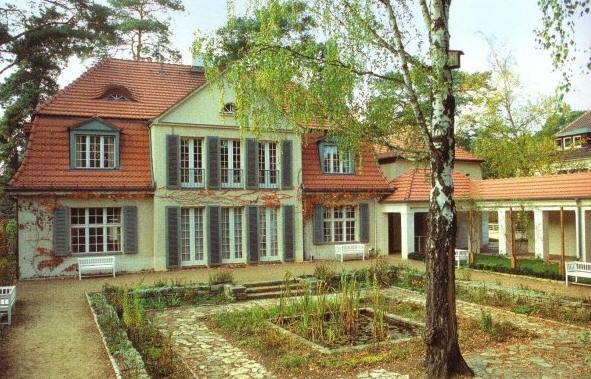 1926 - The Erich Wolf House, on a lot extended from the Teichbornstrasse southwesterly to a thoroughfare on the east bank of the Neisse River, Guben, Germany (now part of Poland). 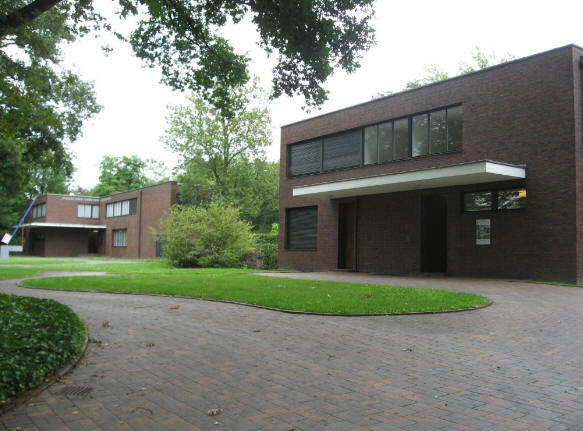 Considered to be Mies's first completed Modernist house. Destroyed during WWII. 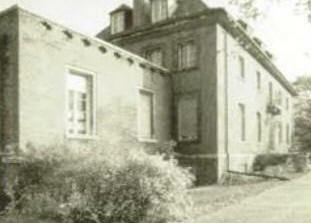 1927 - Weissenhofsiedlung, aka the Weissenhof Estate, aka the Weissenhof Colony. Commissioned 1925. Houses and apartment colony on a hill overlooking Stuttgart, Germany. 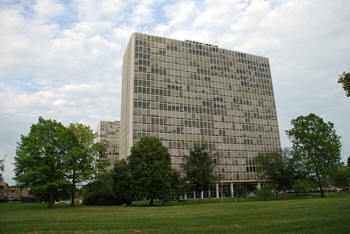 It was an international showcase of what later became known as the International Style of modern architecture. The estate was built for the Deutscher Werklund exhibition of 1927, and included 21 buildings comprising 60 dwellings, designed by 16 European architects, most of them German-speaking. 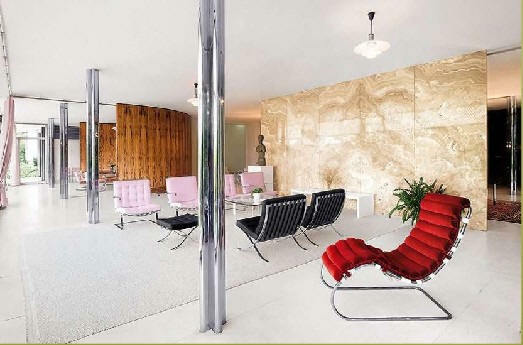 Mise van der Rohe was in charge of the project and he selected the architects, budgeted and coordinated their entries, prepared the site, and oversaw construction. 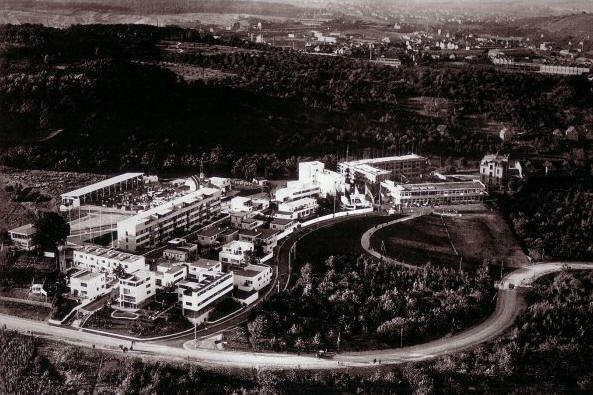 Le Corbusier was awarded the two prime sites facing the city and by far the largest budget. The 21 buildings vary slightly in form, consisting of terraced and detached houses and apartment buildings, and display a strong consistency of design. What they have in common are their simplified facades, flat roofs used as terraces, window bands, open plan interiors, and the high level of prefabrication which permitted their erection in just 5 months. All but two of the entries were white. 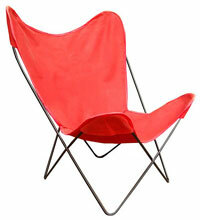 Bruno Taut had his entry, the smallest, painted a bright red. The exhibition opened to the public on July 23, 1927, a year late, and drew large crowds. In 2006, 11 of the original 21 buildings still remained. 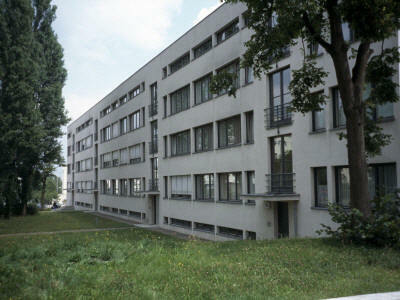 1927 - The Afrikanischestrasse Apartments, 11 Dualastrasse, Berlin, Germany. 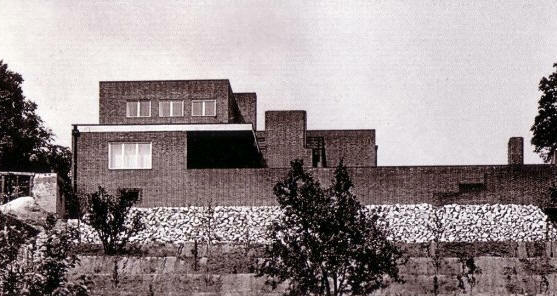 1928 - The Hermann Lange House and the Josef Esters House, neighboring homes in Krefeld, Germany. Commissioned 1927. 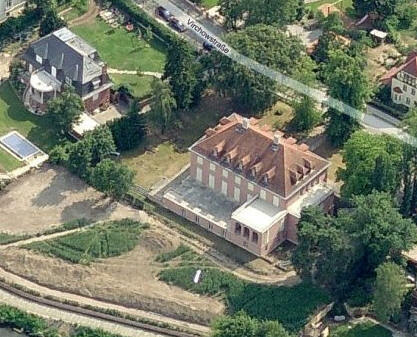 In 1930 houses of the families Lange and Esters were joined. The houses have now been converted into museums for contemporary art. Open to the public. Photo by Jeroen Meijer. 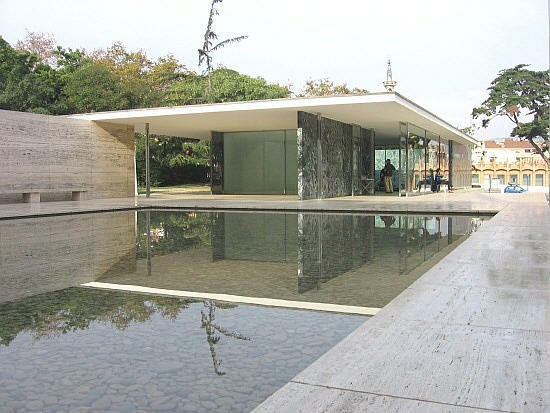 1929 - The Barcelona Pavilion, Avinguda del Marquès de Comillas, 08038 Barcelona, Spain. Designed as the German national pavilion for the 1929 Barcelona International Exhibition (World's Fair). Built from glass, travertine and different kinds of marble, the Pavilion was conceived to accommodate the official reception presided over by King Alphonso XIII of Spain along with the German authorities. Since the pavilion lacked trade exhibitions, the building itself was to become the exhibit. Because it was planned as a temporary exhibition, the pavilion was torn down in early 1930. Between 1983 and 1986, a group of Spanish architects reconstructed the pavilion on the original site using old photographs. Open to the public for tours. 1930 - The Fritz and Greta Tugendhat House, aka Villa Tugendhat, (Schwarzfeldgasse, Blackfield street) 45, Brno, in today's Czech Republic. 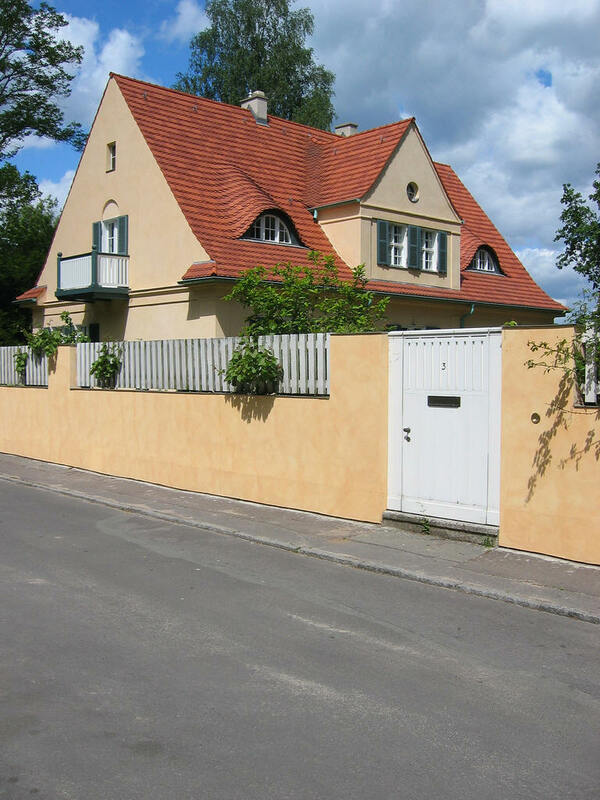 The Tugendhat family left Czechoslovakia in 1938 and never returned. In 1992 the political leaders of Czechoslovakia met there to sign the document that formally divided the country into the Czech Republic and Slovakia. Since 1994 the villa has been open to the public as a museum administered by the city of Brno. It was designated a World Heritage Site by UNESCO in 2001. A reconstruction and restoration was completed around 2013. 1930 - The Gericke House, Berlin-Wannsee, Germany. Unbuilt. Mies submitted this to a competition, but all entries were turned down. 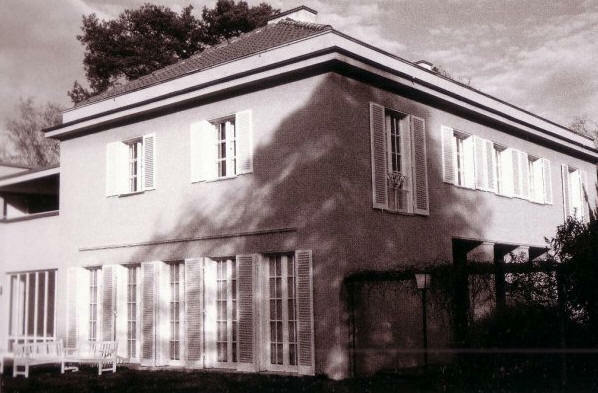 1930 - The Henke House Addition, 1124 Virchowstrasse, Essen, Germany. Henke requested the addition of a wing to his row house. 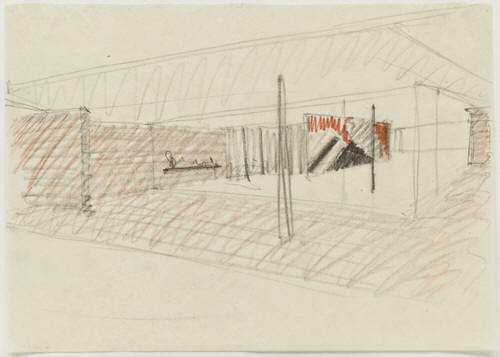 Mies proposed a one-story wing with a railing at its upper edges. 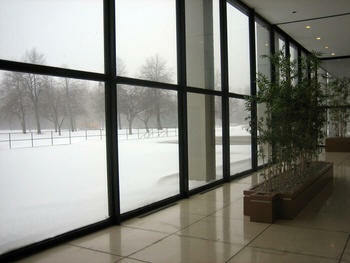 The most spectacular element of his design was the vast window that overlooked the garden. It ran over nine meters and consisted of a single pane of glass. Together with a grill built in front of it, it was electronically retractable. With both window and grill lowered into the ground, the room became a verandah. The present state of the house needs verification. 1930 to 1931 - Furnishing and decorating for the Johnson, Crous, and Hess Apartments. 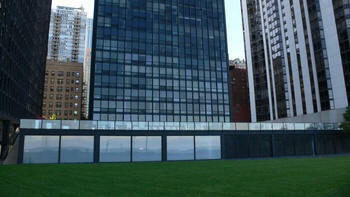 The Philip Johnson apartment was located at 424 East 52nd Street, New York. 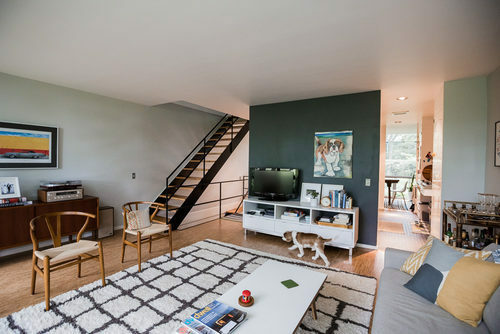 Mies' efforts consisted almost completely of grouping furniture, much of it of his own design, in the entry, living room, dining room, and bedroom of a four-room apartment. Photo above. The Mildred Crous apartment was located on the third floor of Borstellstrasse 12 in Berlin-Sudende, Germany. Three rooms plus a large entry. 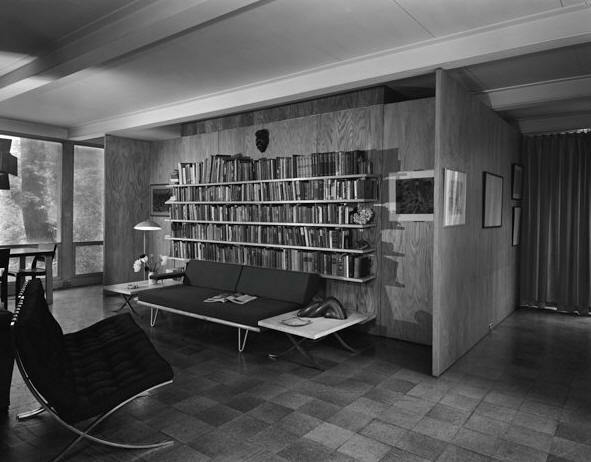 Mies again made use of the Barcelona chair and the MR chair and apparently designed several cabinets and bookcases specialy for the flat. Of the Frau Hess apartment, almost nothing is known. 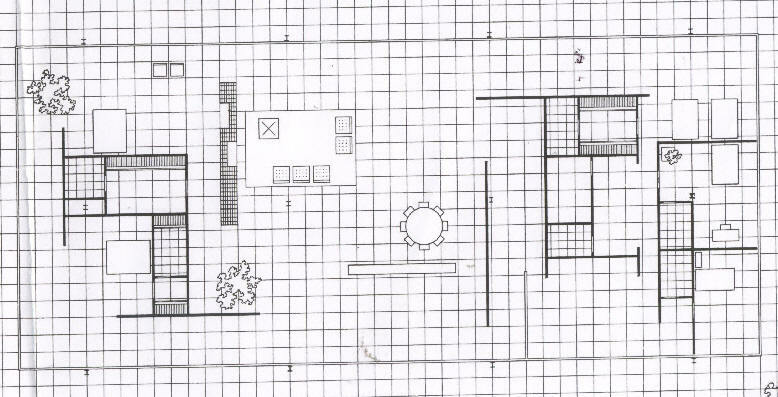 There is no info as to the location of the apartment, nor is there any plan included in the archives drawings, which are confined to the illustration of the furniture - again specially designed - as well as of fittings and details. 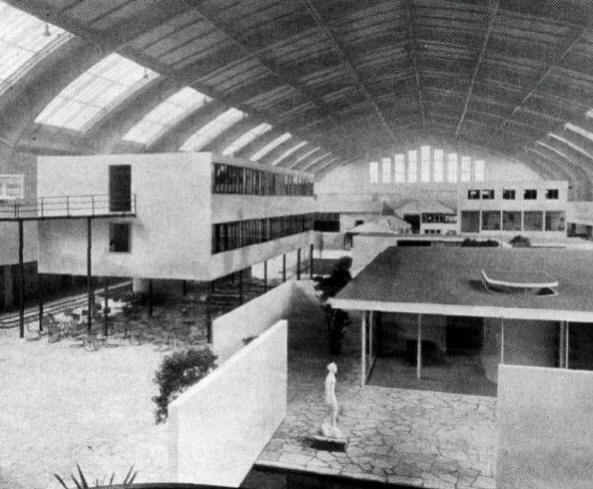 1931 - aka the Dwelling of Our Time, an architecture expo of completed houses inside a huge warehouse at the 1931 German Building Exhibition, Berlin. 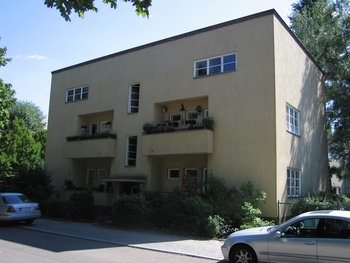 1932 - The Karl and Martha Lemke House, Oberseestrasse 56-57, Berlin-Hohenschonhausen, Germany. The Lemkes resided here until 1945, at which point they were forced out by the Soviet army and the house was converted into a garage. 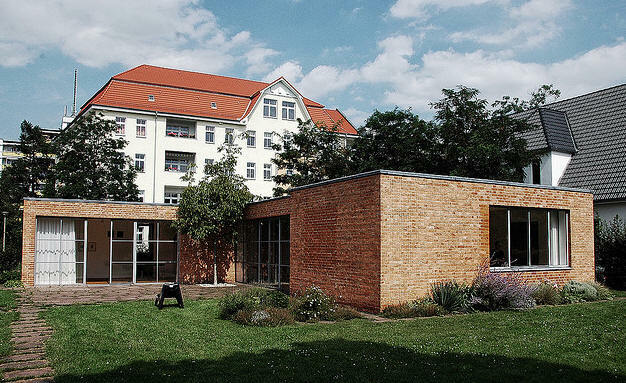 During the 1960’s, the Staatssicherheitsdienst of the GDR utilized the house for laundry storage and janitor living quarters amongst other unintended uses. As a result, the structure sustained extensive damage and underwent numerous alterations, including the bricking in of some of the terrace windows. In 1977, the building was declared a protected landmark, which safeguarded it from further despoilment. Restored in 2002, it is now open to the public. Photos from ArchDaily. 1934 - House on a Terrace, location unknown. There is no correspondence on this project and only a few drawings. The 3 sheets in the archive collection show several inconclusive images of a simple rectangular box that beecome L-shaped. A notched, podiumlike eminence in each drawing warrants the title. This foundation appears specific and consistent enough t lead us to suspect that the project was real rather than imaginary. There is no record of a client. 1934 - Glass House on a Hillside, location unknown. Unbuilt. 1934 - Mountain House. Possible location was at the end of a mountain pass near Bolanzo, Italy. Unbuilt. 1935 - The Hubbe House, possibly located island in the Elbe River by Magdeburg, Germany. Unbuilt. 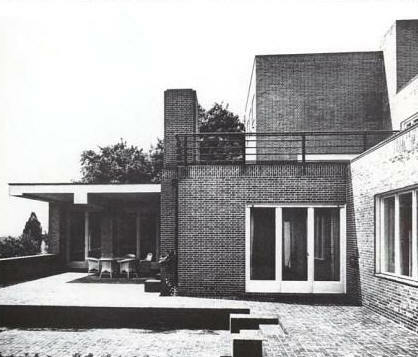 1935 - The Ulrich Lange House, possibly the corner of Buscher Holzweg and Moerser Landstrasse, in Krefeld-Traar, Germany. Lange was the son of Herman Lange, another client. Unbuilt. 1937 - The Wolfgang Lohan Apartment furnishings , Rathenow, Germany. Apartment furnishing and decoration for his second-born daughter Marianne and her husband, the Gymnasium professor Wolfgang Lohan. 1937 - The Resor House, Jackson Hole WY. Unbuilt. 1947 - The Joseph Cantor House, Indianapolis IN. Unbuilt. 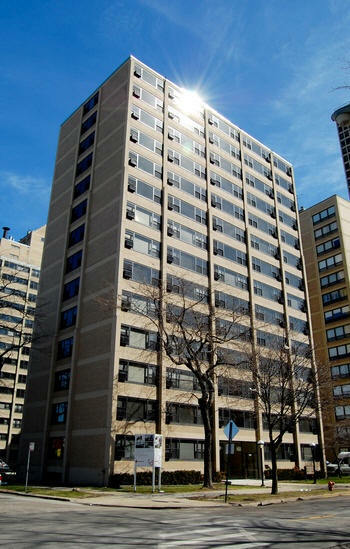 1949 - The Promontory Apartments, 5530-5532 South Shore Drive, Chicago IL. Two buildings developed by Herbert Greenwald. Mies was the design architect, Pace Associates was architect of record, the firm of Holsman and Holsman and Klekamp as consulting engineers, and Frank Kornacker as structural engineer. 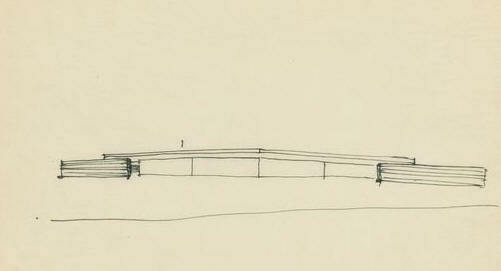 Mies designed an addition in the late 1960's that was unbuilt. 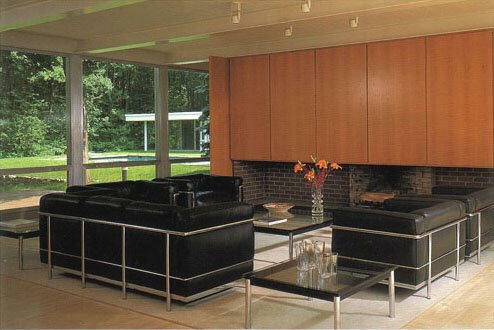 1950 - The Leon J. Caine House, aka the Glass House, Sheridan Road, Winnetka IL. 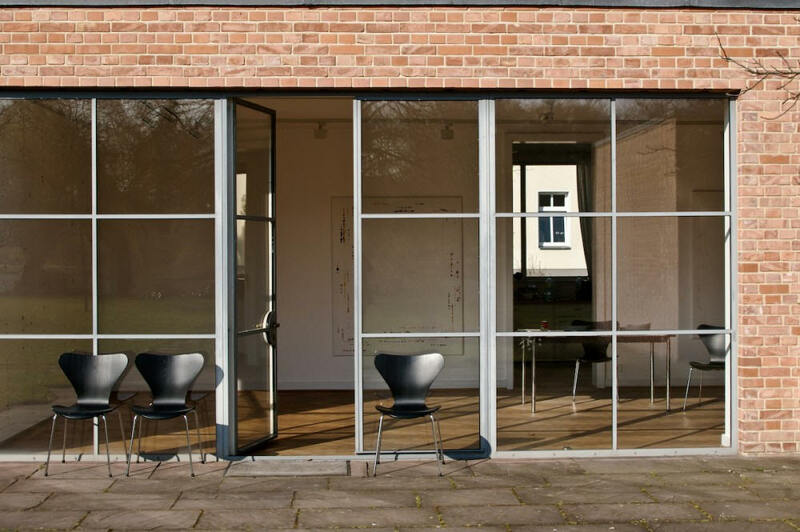 A glass-walled house supported by 12 steel columns. Unbuilt. 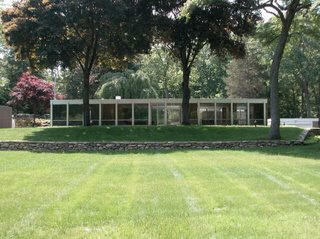 1951 - The Dr. Edith Farnsworth House, 14520 River Road, Plano IL. Commissioned 1946. It was featured in a 1947 MOMA exhibit even before construction began. 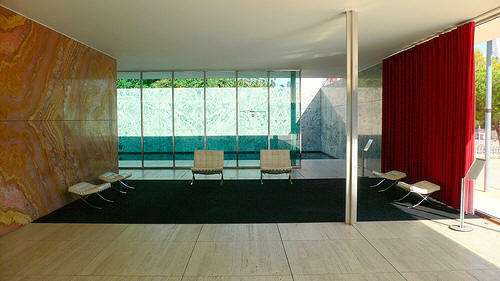 Farnsworth fell in love with Mies which was not reciprocated. In the end she sue him for cost overruns and her general dissatisfaction with the house. After that suit, Mies never set foot in the house. Sold in 1968 to Lord Peter Palumbo. 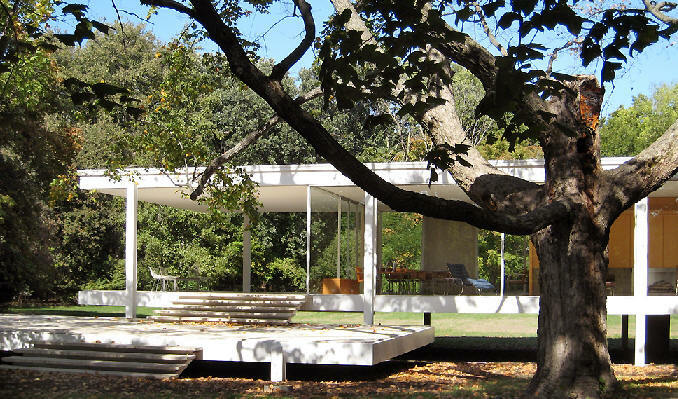 Restored in 1972 by Mies’s grandson, Dirk Lohan, to its original 1951 appearance. Opened for occasional tours in 1975. A second restoration took place in 1996 after a devastating flood damaged the interior. Sold in 2003 to the Landmarks Preservation Commission of Illinois and the National Trust for Historic Preservation who provide public tours. Floods from the nearby river have plagued the house since 1956. The 1996 flood caused millions of dollars in damage. It is quite challenging to protect the house without devastating the design. Open for tours. There's a feature film coming out in 2019 with Jeff Bridges as Mies and Maggie Gyllenhaal as Farnsworth. 1951 - The 860 and 880 Lake Shore Drive Apartments, two buildings in Chicago IL. 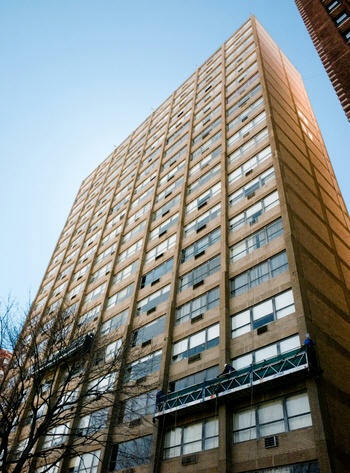 He also designed the Charles B. Genther Apartment in the south corner of the top floor (26th) of the 860 building. 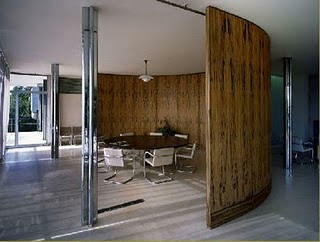 Mies designed a large apartment for himself at 880 Lake Shore Drive, Apartments 21 A & B. Ultimately he chose not to live in his building, it is said, because he felt he might be too frequently bothered by neighbors. 1951 - The Algonguin Apartments, 1606 East Hyde Park Boulevard, Chicago IL. 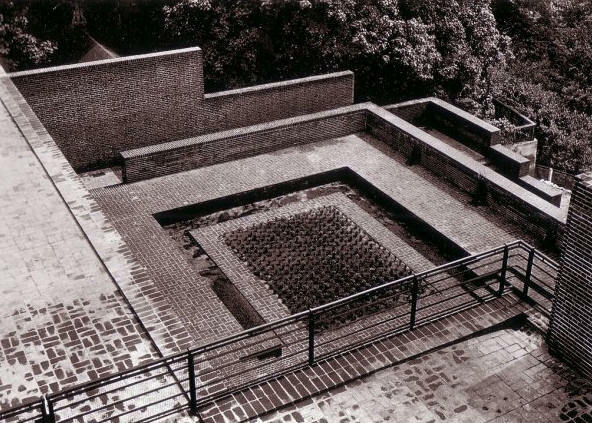 1951 - The Core House, a housing prototype developed by Mies without a client. Myron Goldsmith and students at IIT also participated in the design. Unbuilt. 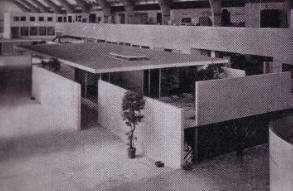 1952 - The 50 x 50 House. 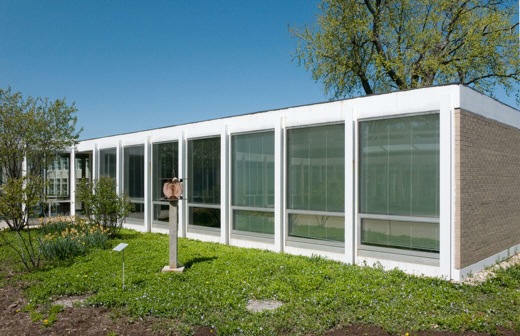 This was Mies's housing prototype offered as a solution to the problem of mass housing. Unbuilt. 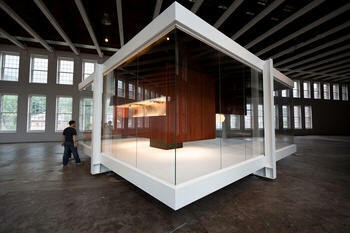 In 2009, the artist Iñigo Manglano-Ovallé constructed a half-scale version of the house in which the floor and ceiling were reversed at the Massachusetts Museum of Contemporary Art. 1952 - The McCormick House, 299 Prospect Avenue, Elmhurst IL. Moved in 1994 from its original location to the Elmhurst Art Museum in Wilder Park. Since 1997, the McCormick House has been the Museum's administrative offices. 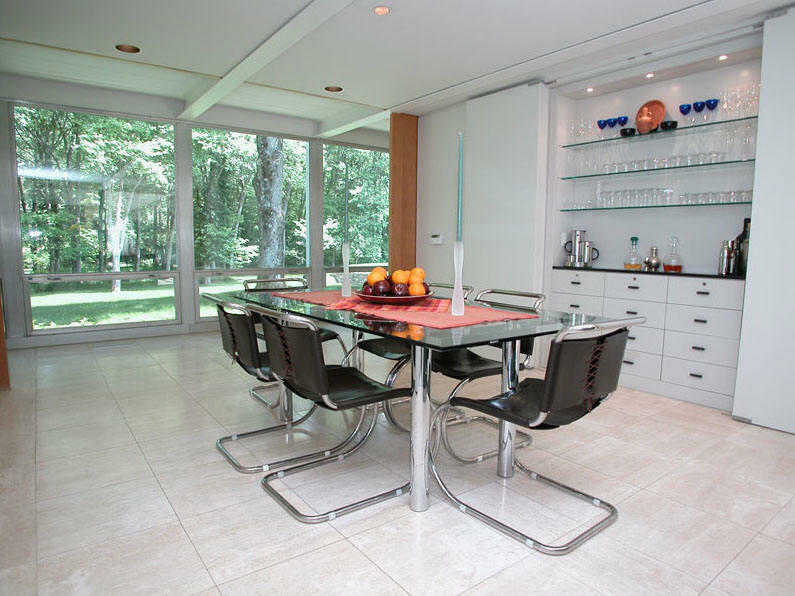 In November 2010, a portion of the house was converted into a 1952 Modenist family gallery, displaying mid-century furniture designed by Florence Knoll, Eero Saarinen, and Mies van der Rohe. Open to the public for tours. B/W photos by Heidrick Blessing. Renovated in 2017. 1952 - The Riverside Apartments, possible location was Lenape Avenue and Riverside, Trenton NJ. Unbuilt. Commissioned 1951. The sketches of a 15-story building indicate a concrete sketch with stepped columns, recalling a similar usage in the Promontory Apartments. What is unique here is the presence of balconies. 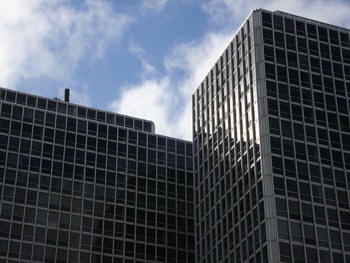 They are a feature not found in any other high-rise project by Mies. One of the 5 sketched plans was identified as being executed by his assistant, Joseph Fujikawa. 1952 - The Riverside Apartment Building, 36th and Meridian Streets, Indianapolis IN. Unbuilt. 1953 - The Berke Apartments, possible location was Thirty-sixth and Meridian Streets, Indianapolis IN. Unbuilt. 1954 - Row Houses, Bensenville IL. Unbuilt. The archives contain few details and the project did not get very far along in design development. 1951 - The R. F. Carman Hall Apartments, 60 East 32nd Street, Chicago IL. Commissioned 1951. 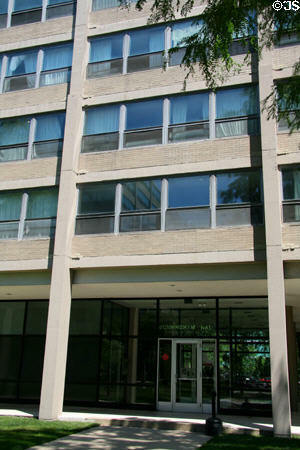 Carman Hall is a furnished apartment building for IIT graduate students. 1955 - The Bailey Hall Apartments, 3101 South Wabash, Chicago IL. Part of the IIT Campus. Commissioned 1951. 1955 - The Cunningham Hall Apartments, 3100 South Michigan Avenue, Chicago IL. Commissioned 1951. 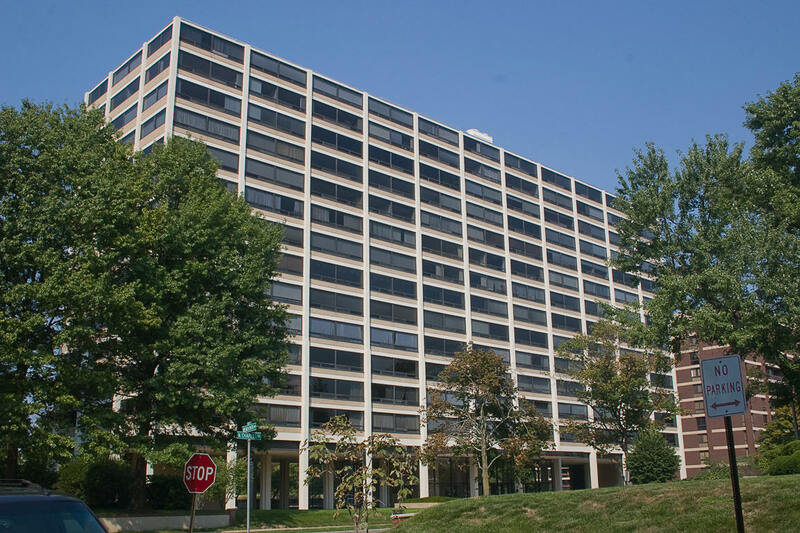 Except for their 4-unit windows, the IIT apartment buildings are similar to the Promontory Apartments, built of reinforced concrete and are all located on the north side of the campus. 1956 - The Esplanade Apartments, 900-910 Lake Shore Drive, Chicago IL. After the huge success of the 860/880 Lake Shore Drive Apartments, Van der Rohe and Greenwald conceived five major project proposals on Chicago North Side, including this one. 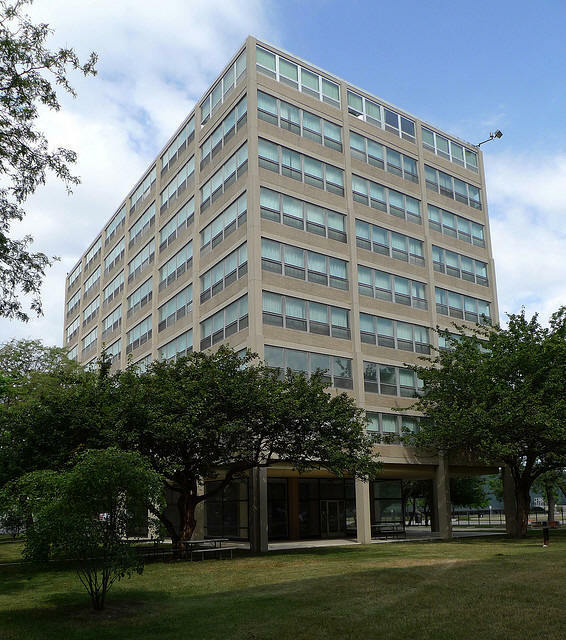 1956 - 1300 Lake Shore Drive Apartments, 1300 Lake Shore Drive, Chicago IL. Two buildings, unbuilt. Commissioned 1953. 1956 - The Chestnut and DeWitt Apartments, Chestnut and De Witt Streets, Chicago IL. Two buildings, unbuilt. Commissioned 1953. 1956 - The Commonwealth Promenade Apartments, corner of Diversey and Sheridan Road, Chicago IL. Commissioned 1953. Four buildings. 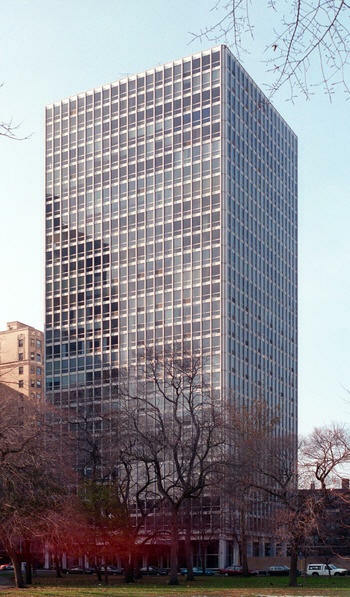 Starting in 1951, Van der Rohe designed an apartment for Herbert Greenwald, originally for 860 Lake Shore Drive, Apartment 25M. The plan was integrated into the penthouse of the Commonwealth Promenade building, with some minor changes. 1955 - The Morris Greenwald House, 11 Homeward Lane, Weston CT. Sold in the 1980's. Addition (1989) and renovation (2003) by architects Peter Gluck and Partners. Sold to Richard B. Wolf. 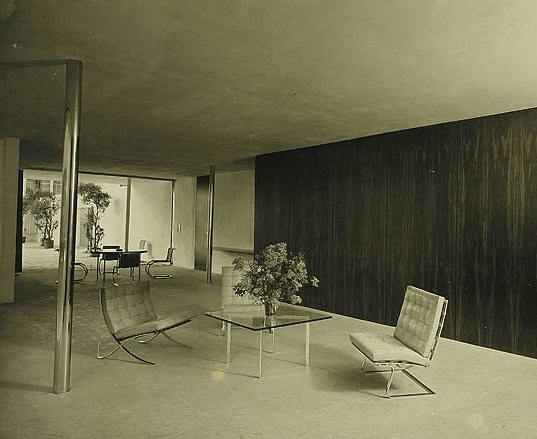 1955 - The Herbert Greenwald House, Lake Forest IL. Unbuilt. 1956 - 1300 Lake Shore Drive Apartments. 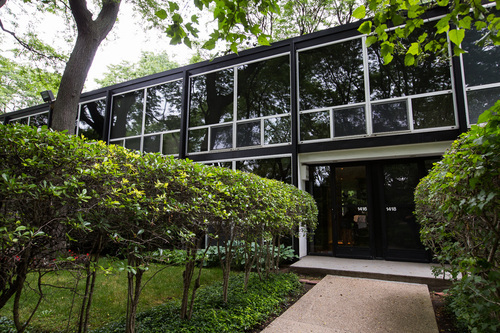 In Herbert Greenwald's eyes, the economic and artistic success of the 860/880 Lake Shore Drive apartrments fulfilled the promise of the relationship he had formed with Mies. Together the two men conceived five major commissions between 1953-56, all of them on Chicago's North Side. Had they been completed there would be as many as 16 apartment buildings, including the two here. Economic realities later forced them to drop this, the Diversey/Lake Shore project, and the Chestnut DeWitt project. 1956 - Chestnut and DeWitt Apartments, Chicago IL. Two apartment buildings, no description. Unbuilt. 1958 - The Diversey Lake Shore Apartments. Between two and six buildings to be on West Diversey Parkway and Lake Shore Drive, Chicago IL. Unbuilt. 1959 - The Quadrangle Apartments, Dekalb Avenue between Saint James Place and Classon Avenue, Brooklyn NY. Commissioned 1957. Unbuilt. Four 19-story buildings intended as housing for Pratt Institute in Brooklyn. 1957 - The Battery Park Apartments, Battery Park, New York NY. Unbuilt. The proposed parcels of land flanked Broad Street between Water and South Street. 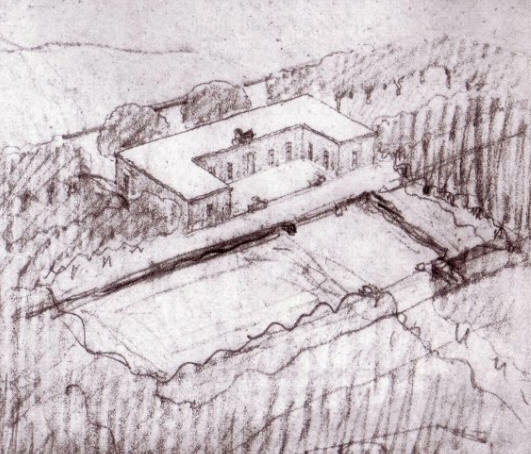 Of all of Mies' apartment projects built and unbuilt, none commanded a site as dramatic. He did several designs. The closest to the final arrangement are studies of two high-rise buildings of 39 stories each, bottom photo, separated by a combined shopping and garage structure and an open landscaped area in front of and between the two apartment blocks. 1958 - The Marina Boulevard Apartments, Marina Boulevard, San Francisco CA. Unbuilt. 1958 - The Rimpau Apartments, Rimpau Boulevard and Eighth Street, Los Angeles CA. Unbuilt. Two apartment buildings with a one story shopping unit and a motel added at the west end. 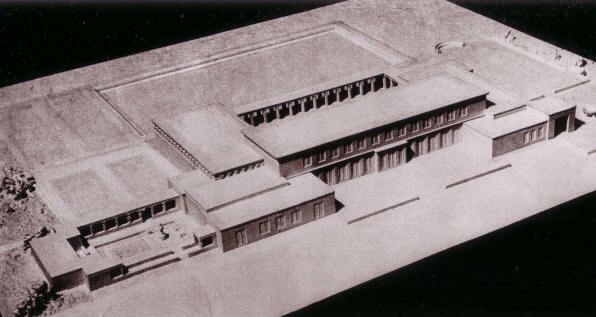 The Colonnade is an enormous block, three by twenty-two bays, running on a north-south axis. It sttands on a crest of a hill that slopes downward to the east 3 blocks away where the two Pavilion buildings are situated. 1958 - aka Skid Row, a homeless men's housing project, Detroit MI. Unbuilt. Would have held 300. 1959 - 1416 Nicolet Place, Detroit MI. Townhouse. Sold in 2013. For sale in 2015. 1959 - The Brookfarm Apartments, Brookline MA. Unbuilt. A composition of two 20-story apartment buildings separated by large plaza containing a terrace, lawns, play areas, and a pool. Parking space appears both on grade and in a lower level garage. 1962 - The Highfield House Apartments, 4000 North Charles Street, Baltimore MD. 14 stories. Converted to condos. 1963 - The 2400 Lakeview Apartments, Chicago IL. 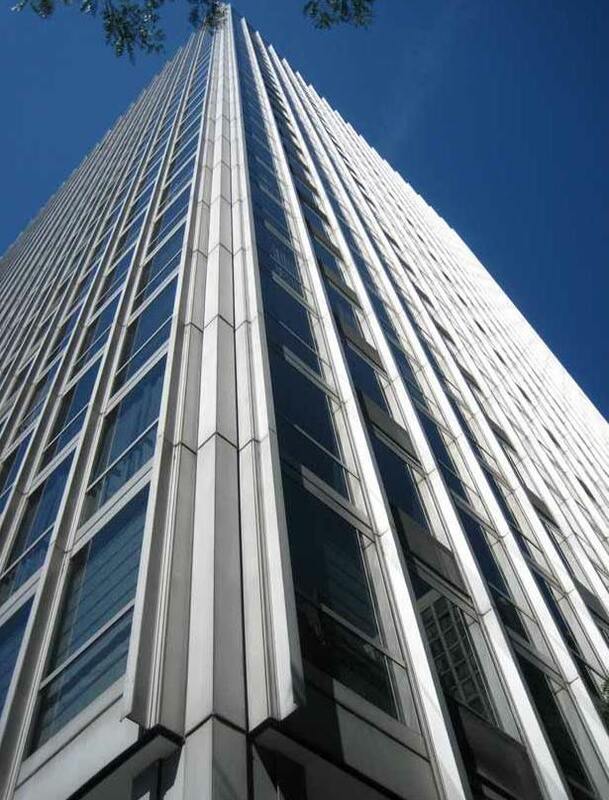 This was the last building done in partnership with builder-financier Herbert Greenwald, who was killed in a plane crash in 1959 just as construction was underway. 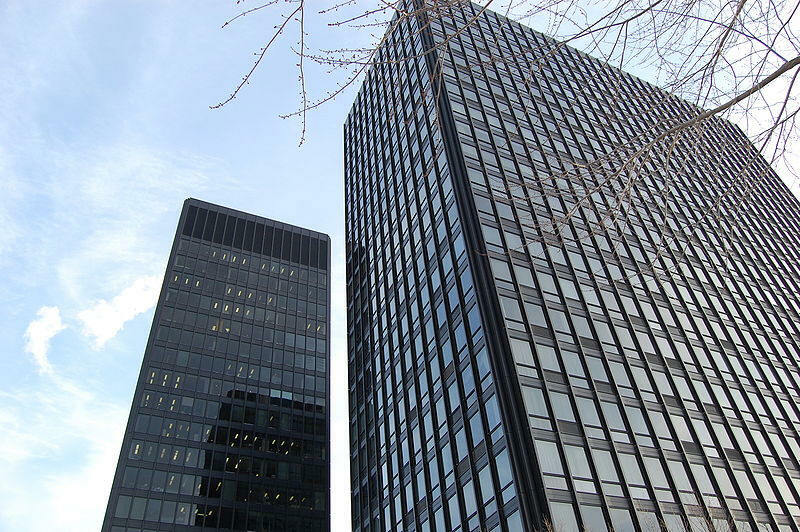 Mies continued to work with Greenwald's successors but he would never build another apartment building in Chicago. 1963 - Lafayette Park Development, Orleans and Lafayette Streets, Detroit MI. Commissioned 1955. A large park and complex of apartments and housing cooperatives. The 78 acre urban renewal project was originally called the Gratiot Park Development. 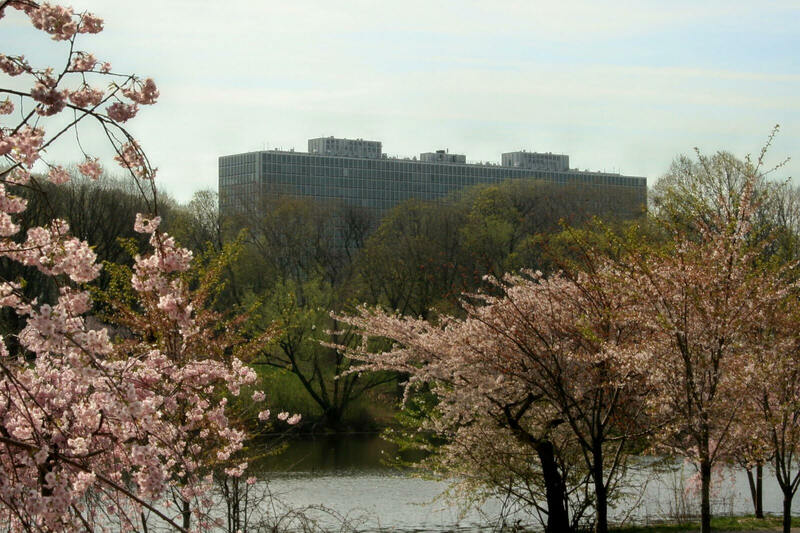 Planned by Mies, Ludwig Hilberseimer, and landscape architect Alfred Caldwell, it includes a landscaped 19 acre park with no through traffic. Apartment buildings include Lafayette Pavilion Apartments (1958), 1300 Lafayette East (1961), Lafayette Towers East and West (1963), and Windsor Tower (1965). 1964 - The Foster City Apartments, San Mateo CA. Unbuilt. Two 21-story high-rise blocks rising from a platform base separated by a wide terrace with a single-story restaurant/recreation. There are duplex penthouses on the two upper floors. 1965 - The Church Street Redevelopment, New Haven CT. Unbuilt. Included Housing for the Elderly; Public Family Housing, Moderate Income Housing; Upper Middle Income Housing; and a Primary School. A kindergarten through 4th grade school and a boys club filled out the program. It was jointly sponsored by the New Haven Urban Renewal Commission, the Knights of Columbus, and an unknown Jewish organization. 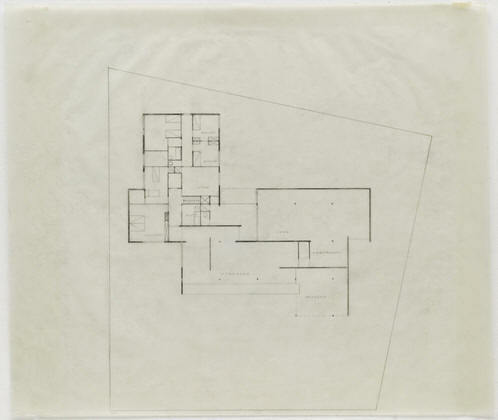 Arthur Salzman, an architect who worked in Mies' office at the time, reports that poor health prevented Mies from taking more than a minimal part in the design.The housing consisted of low-rise rental apartments with 3-by-9 bays, 3-by-11 bays, 3-by-13 bays, and 3-by-14 bays, likewise to low-rise co-op apartments, and public family apartments of varying lengths. 1967 - The Westmount Square complex, four buildings located in Westmount, Quebec, Canada. Two are residential. 1969 - The Île-des-Soeurs, Nuns' Island, Montreal, Canada. Three apartment buildings and an Esso gas station, bottom photos. 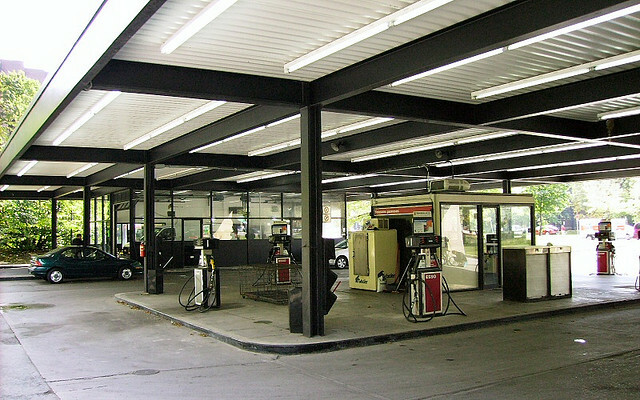 The gas station closed in 2008 and opened in 2012 as a community center. 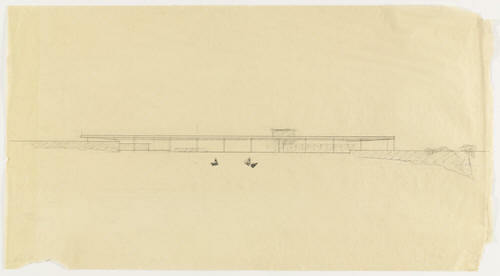 Sources include: ModernDesignInterior; Wikipedia; Graham Resource Center at the Illinois Institute of Technology; Mies van der Rohe, The Art of Structure by Werner Blaser; Mies van der Rohe Society, Wikipedia, Philip Johnson Architect 1949-1965; The Mies Van Der Rohe Archives: Museum of Modern Art, 1986.